Getting ready to feast your heart out tomorrow? 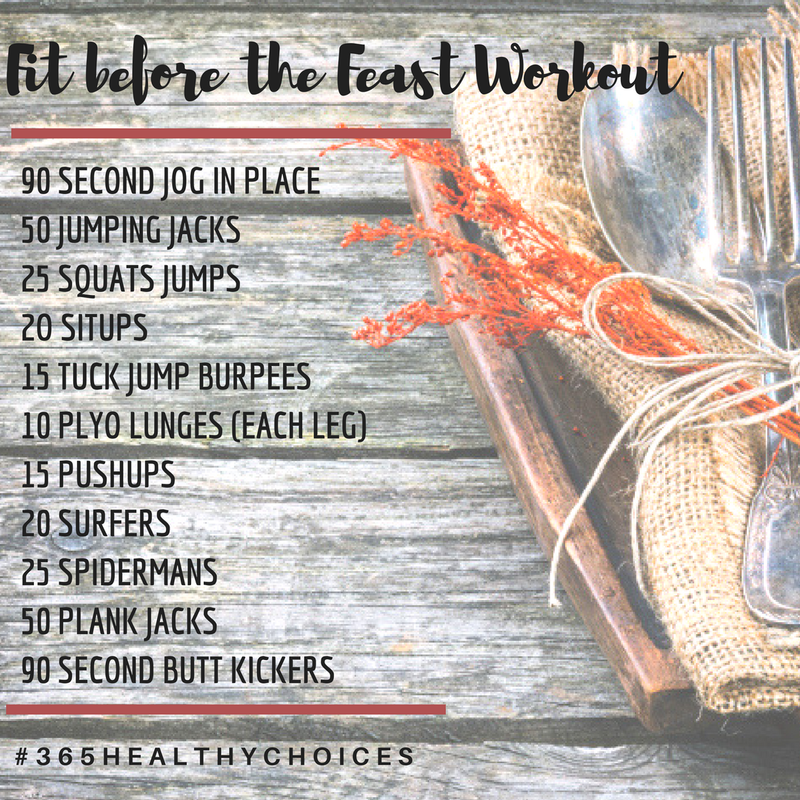 If you’ve checked out any of the ‘fun’ pictographs telling you how many calories are in your favorite holiday dishes – and how much exercise you need to burn off those calories – then you might be looking for a way preemptively strike those calories, like me! Nice routine. I have a love/haye relationship with HIIT. I can agree 🙂 but anything that gets my workout done completely and quickly (especially with 2 crazy kids running around) wins out. I have three of my own so I understand. Hate* dang slip of the thumb smh.